I adapted this recipe from Donna Hay’s Modern Classics Book 1, a commonsense contemporary cookbook in which she updates timeless classics and establishes some new ones. Her recipes are simple, with few ingredients, all satisfying the effortlessly healthy criteria. Cook the pasta in a large saucepan of boiling salted water until al dente. Drain and keep warm. Heat the oil in a frying pan over medium heat. Add the capers and garlic and cook for 1 minute. 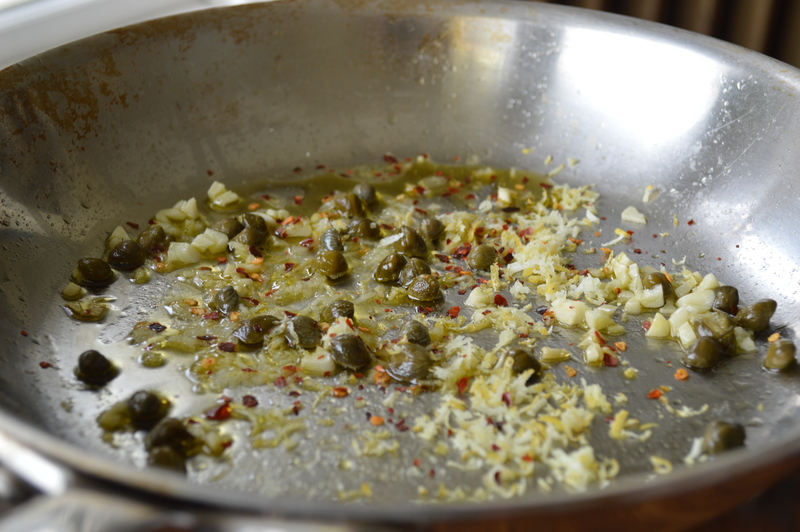 Add the chili flakes, lemon rind and juice and cook for 1 minute. Add the rest of the veggies and cook for 3 to 5 minutes, just to soften them slightly. 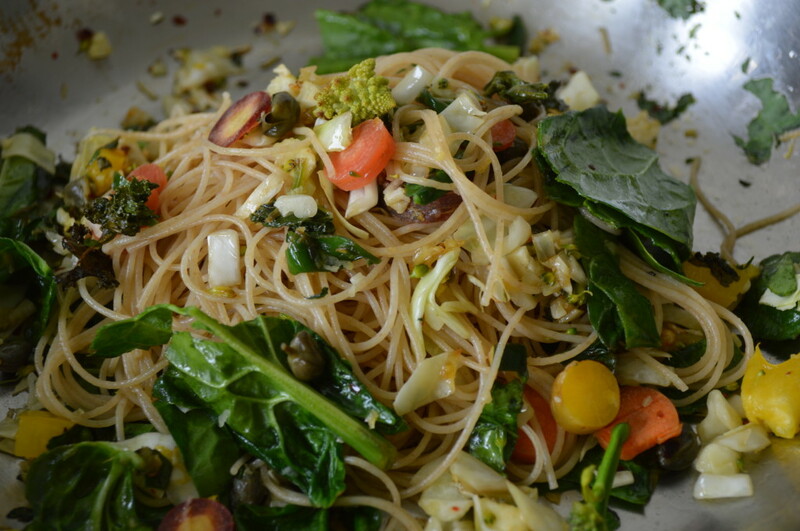 Mix in the capellini and serve. Effortless! Thanks Georgie! Would love to hear your comments on the recipes you try. Hope all is well. Sending lots of love across the pond.